Jazzercise apparently never went away, unlike the Weeble Wobbles, and to prove it, Jazzercisers from all over Florida converged on Dolphin Stadium to perform in a special halftime show. The money they raised would be donated to the search for a cure for breast cancer. The original piece is 15 minutes long, but I’ve posted this 2-minute version to give you the essential flavor of the event. 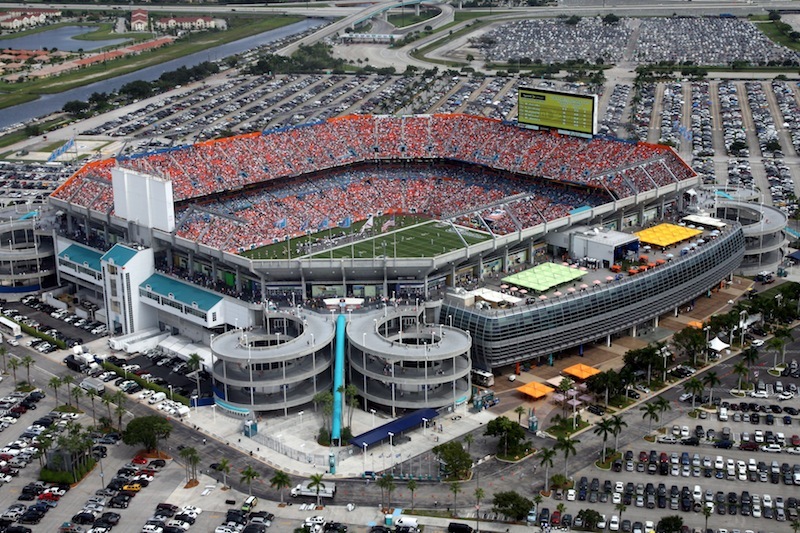 This was my 1ST TIME @ DOLPHIN STADIUM! I can’t believe it took me this long. And may I say: Beautiful job, Mr. Joe Robbie. You built the Dolphins a beautiful playground.